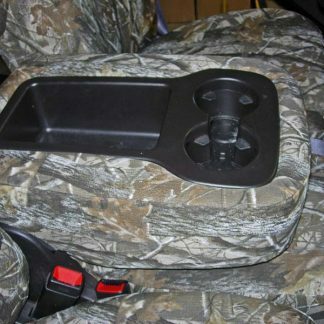 Complete set includes: 2 headrest covers and console lid cover. 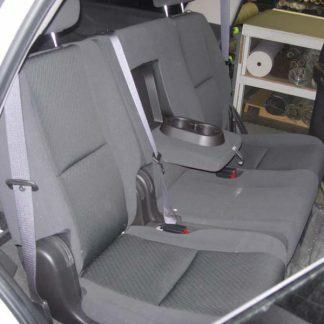 Equal sized bucket seats with adjustable headrests and a no passenger center console. 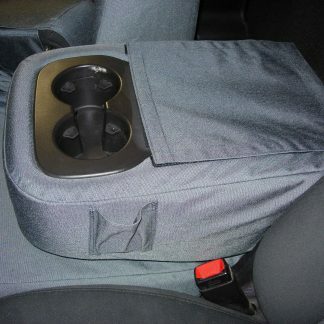 Complete set includes: 2 headrest covers, middle bottom cover, console cover. 40-20-40 with adjustable headrests, non-opening middle bottom, console with two beverage holders and large open plastic box behind them. 60% Driver side, 40% Passenger, two adjustable headrests, Armrest/Console in the middle with two beverage holders. Fits: GMC Yukon Middle Row. 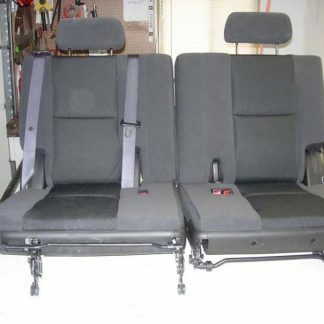 Complete set includes: 2 headrest covers, 2 armrest covers. 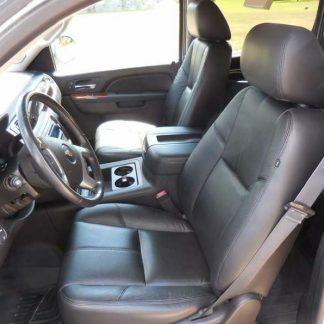 Equal sized leather bucket seats, adujstable headrests, and one armrest per seat on the inside. Seats fold forward. 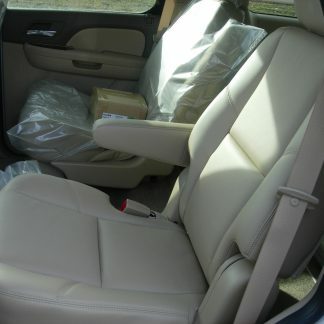 Equal sized 50-50 rear seats with integral seat belts and adjustable headrests.